Bart did as other ranchers in the area did when heavy snowfall covered the forage. They burned thorns off cactus with a gas torch or held the pads on a pitchfork over a fire, and fed them to the cattle. 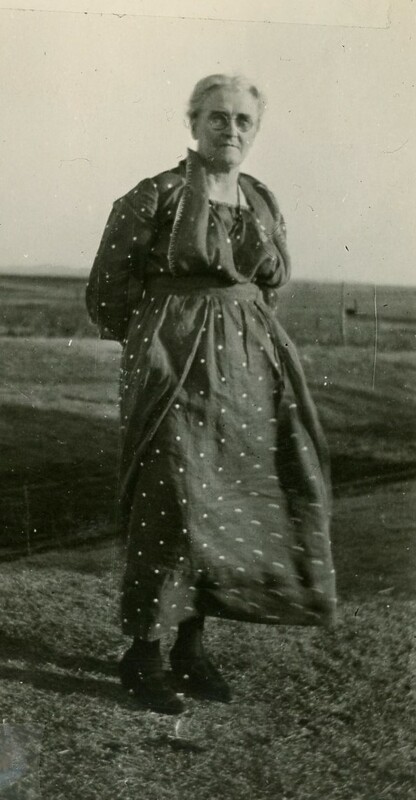 Mary Allen Hurd 1)Mary Allen Hurd grew up near Bart Mahaffie’s ranch in Colorado and knew of Bart. 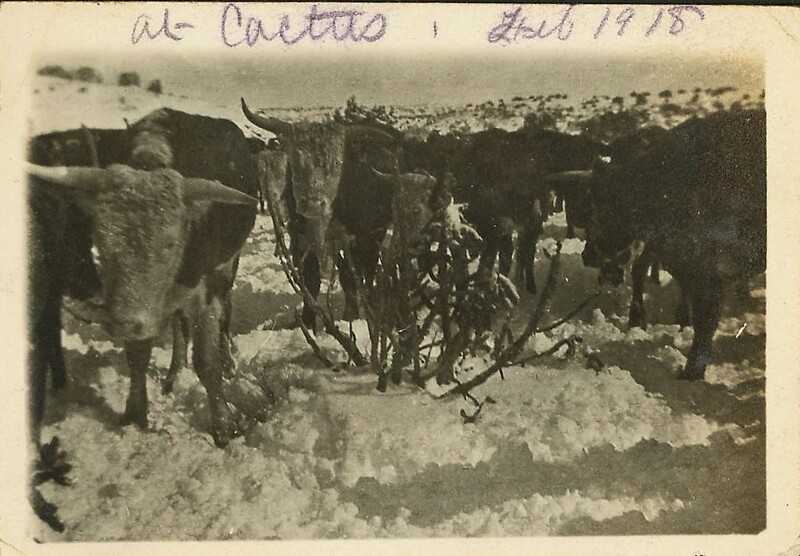 An upublished collection of her reminiscences has circulated in Las Animas County, and I’ve drawn on it and cited her in these posts recalled how the cattle happily ate the cactus pads hot. It was often all they got, and some still succcumbed to hunger during the hard winters. But Bart wasn’t discouraged. 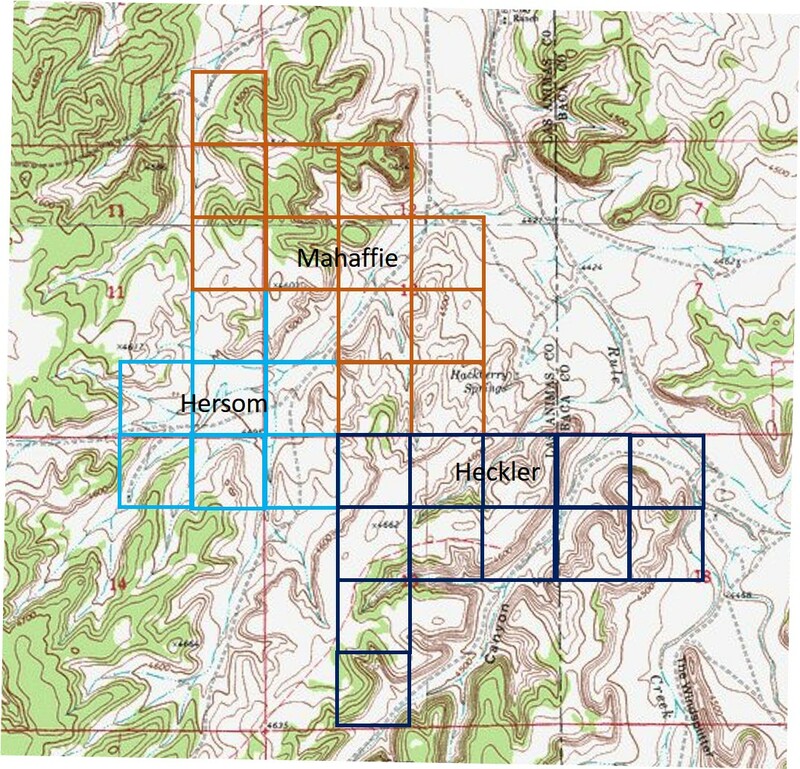 He had 480 acres in two homestead claims. He’d done the work to prove them up, building his house and improving the land. Bart wrote to Charles about getting more acreage, with plans to acquire his neighbor George Heckler’s 320 acres. Heckler, an older man, was proved up and planned to sell. Later records also show Bart was working to get 320 further acres from Cleveland Hersom, another neighbor. That summer meant he’d get married to Marye Traylor and bring her to live on the ranch. The house was ready, expanded with a proper addition. With a bigger ranch he could earn more to support a family. And at last the March days flirted with warmer temperatures and the snow was melting. The day he wrote Charles, the temperature reached 70 degrees. There was reason to be encouraged. But the Spanish influenza virus was waiting for Bart. The historic epidemic looked to be over after its awful surge in the fall of 1918. But it had one more rampage and Bart was among its targets. He did not contract the flu until March of 1919. He was unfortunate to be among is last deadly wave of victims that came that winter. Living on a remote ranch kept him from getting the infection sooner. Of course he did business in town. Trains brought people and goods from other places. They readily brought the virus. 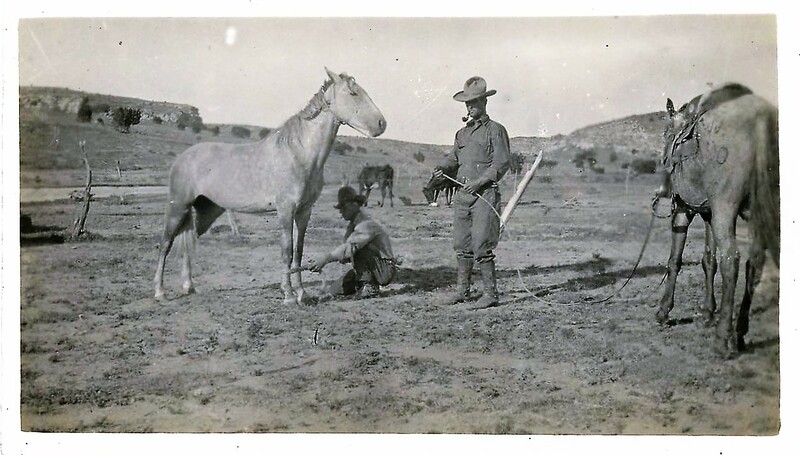 And the homesteaders in his corner of Las Animas County were a community that visited and helped each other out with ranch work. Even a bachelor making his living alone on a ranch had occasion to be with others and to risk the infection. We don’t know how Bart alerted someone that he was sick. The flu tended to come on quickly. He may have felt ill during a day when he saw others, or a neighbor may have come to check on him. Someone soon came to help and alerted Bart’s family in Oklahoma. Bart would have seen others get the flu and probably knew about the symptoms and his prognosis. Mary Allen Hurd recalled that the ranchers were far from doctors. They had to make do with whatever they knew how to do for each other. 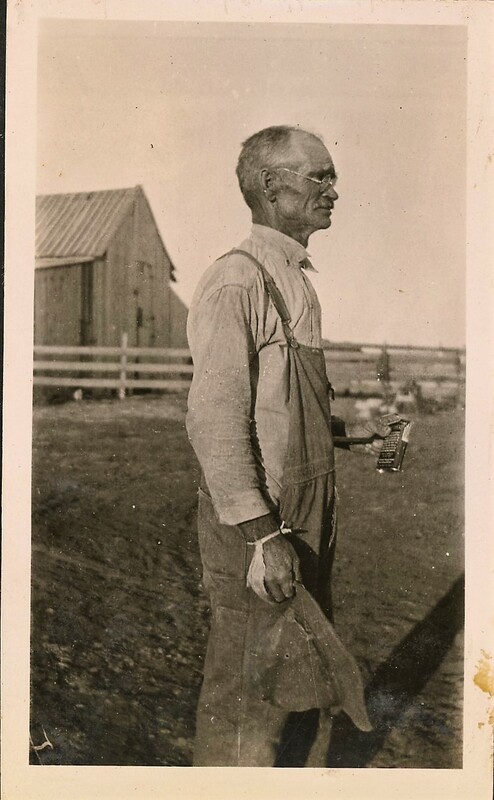 George Heckler, Bart’s neighbor, was the knowledgeable veteran among the settlers. It’s possible it was George who first saw to Bart when he took sick. Mary Allen Hurd recalled how George knew old remedies and how to make Mountain Sage Tea for congestion and other symptoms. She said “it either killed or cured.” But those remedies could do little when the flu hit. Not even doctors had much to offer when Bart took sick. Late on Wednesday March 26, 1919, Bart’s parents, Doc and Mollie, got a telegram, probably arranged by a concerned neighbor, alerting them to Bart’s illness. They left by train on Thursday morning to go to him. 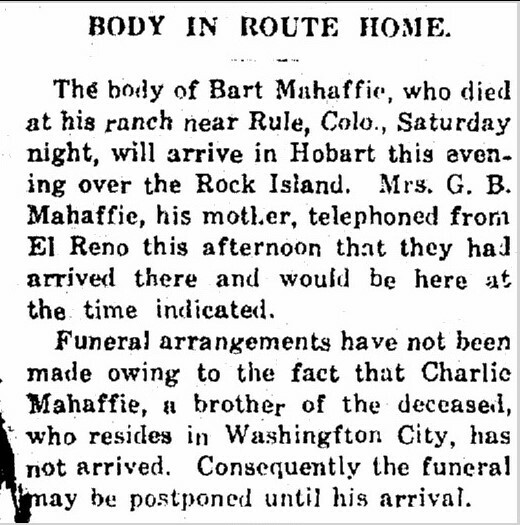 The folks in Hobart knew Bart well, and his illness meant a short mention, “Bart Mahaffie Ill” in the Hobart paper, the Republican. Based on the timing, we can assume that Doc and Mollie got to Bart’s bedside by the 27th or 28th. At least their presence could be of comfort to him. Bart only had treatment for his symptoms and some comfort from not being alone in his rock house. But the ravages of the flu’s attack on his lungs meant a short, but excruciating decline, no doubt abject fear, and death. Gravely ill, he held on for two days longer, but succumbed on Saturday March 29th. Bart was buried in the Hobart Rose Cemetery. 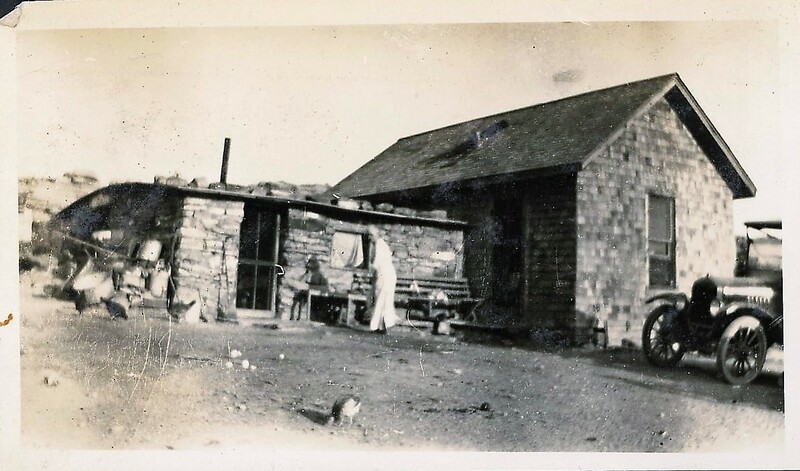 Doc and Mollie, the August after Bart’s death, closed up their house in Komalty outside Hobart and sold their stock for what was an indefinite move to Rule, Colorado and Bart’s ranch. As Bart’s heirs, the ranch was now theirs to manage. Bart had died before his Colorado claims were officially “proved up” which would normally happen after requirements were met and three years had passed. The two patents on his original claims show an issue date of October 7, 1919, which means his heirs, namely Doc Mahaffie, his father, presented proof of qualification, and took ownership. Doc and Mollie went to Colorado complete that process and the transaction acquiring George Heckler’s place and Cleveland Hersom’s land. The ranch was remote and the house small, a far cry from the substantial lifestyle and busy town they were used to. They were in their mid-60s, late to take up a life in a rough, remote place like Rule. Doc may have had his eye on making Bart’s ranch big enough to be attractive to a buyer, or just saw opportunity in the additional land to be had cheap from frustrated homesteaders. After the death of her fiance, Marye worked as a bookkeeper in an ice plant in Elk City, Oklahoma. 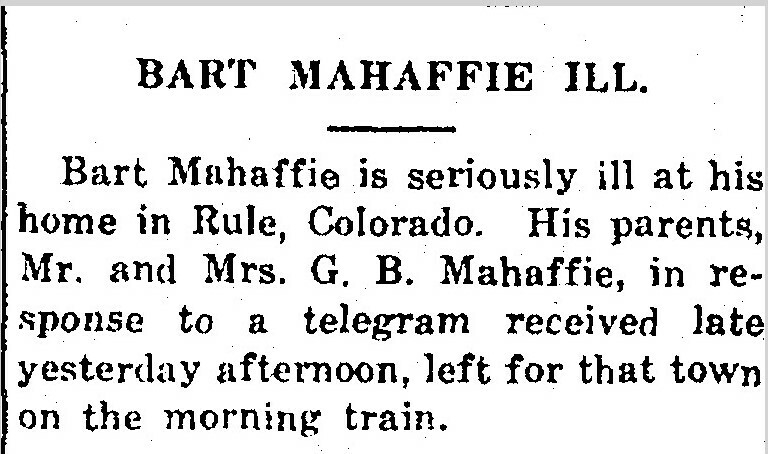 For a time after Bart’s death, Marye and her family kept in close touch with the Mahaffies. She moved to Oklahoma City in the late 1920s. By 1930 she was heading her own household there, living with her father, sister, and brother in law. She worked as a bookkeeper at the Wetherbee Electric Company. By the late 1930s, she had married a co-worker, Ernest Tanner, a foreman and salesman in the company. They moved to El Reno, just outside Oklahoma City. 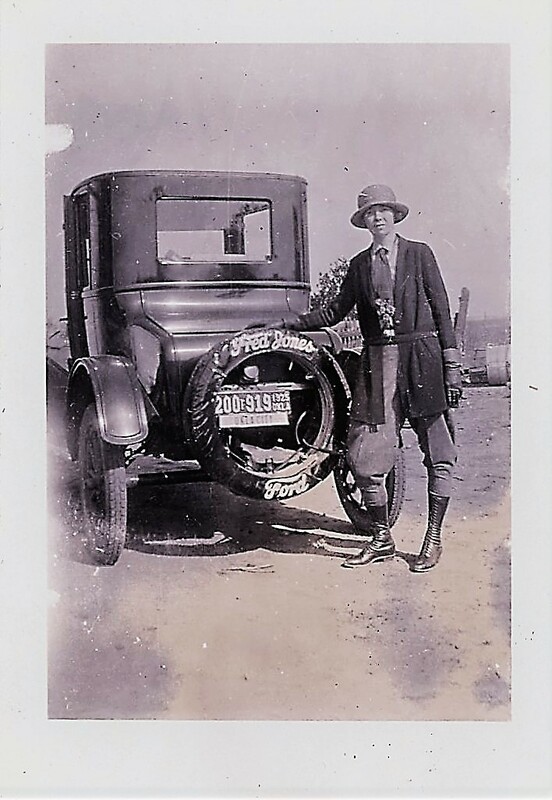 Ernest started his own business, Tanner Electric Co. in El Reno. Marye was active in the El Reno community, a member of the Center Grove Home Demonstration Club, but also the El Reno Business and Professional Women’s Club, serving on its executive committee. Ernest died in November 1954. Surviving her husband, Mary lived to 101 years. She died in 1993, and is buried in El Reno. After Bart died, his family made a number of land transactions to finish out purchases Bart had set in motion with two neighboring ranchers, and perhaps to consolidate a more valuable and salable ranch. Doc and Charles were both savvy about money and investment. Both had loaned Bart money or guaranteed the notes he promised the men he transacted with for land. Between land that Bart had acquired or planned to before he died, and transactions completed after he died by Doc and Charles, the holdings grew to 1120 acres in Las Animas and Baca Counties, Colorado. 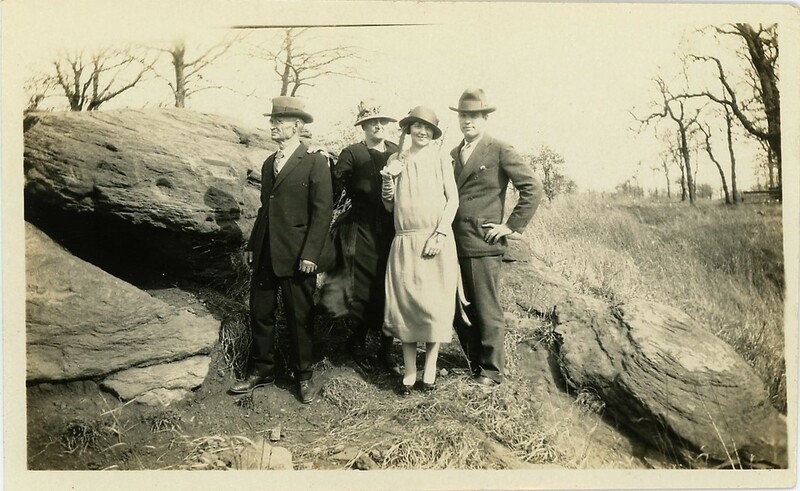 The land stayed in the Mahaffie family, owned by Bart’s brother Charles until his death in 1969. It then passed to his wife and later his son. Mark and Kimberly Wilson, whose family had long leased the land from the Mahaffies, bought it in 2009, and continue to raise cattle there. So many homesteaders in that dry, tough corner of Colorado tried and gave up. Bart had the makings of success and a fiance that had business savvy and drive of her own. We see what Bart was able to do on his own, and can imagine what Bart and Marye could have done together. In learning all we can know to know about Bart and his intended wife Marye, I’ve come to believe they not only would have made it, but would have thrived.